I've had this dress for longer than I can recall, and love to dig it out from time to time. I don't think I've purchased anything in Next before or since, but I seem to remember having some vouchers to spend, so this was my garment of choice! I find skater style dresses really flattering on all body shapes, and I'm chuffed that they're starting to make a comeback - in my opinion Missguided and Boohoo have the best variety. 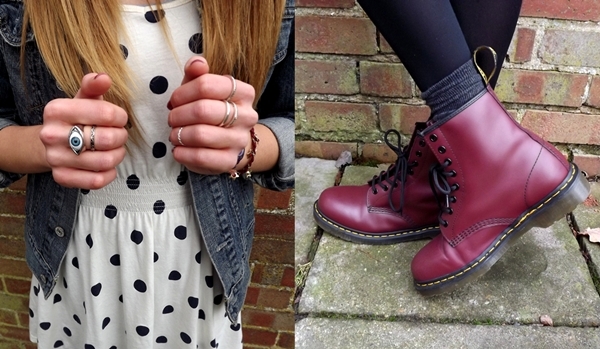 Teamed it with my trusty Docs and a denim jacket - two wardrobe staples I just couldn't live without! In other news, I'm planning on buying a vintage denim jacket to stud - would any of you be interested in seeing a DIY? 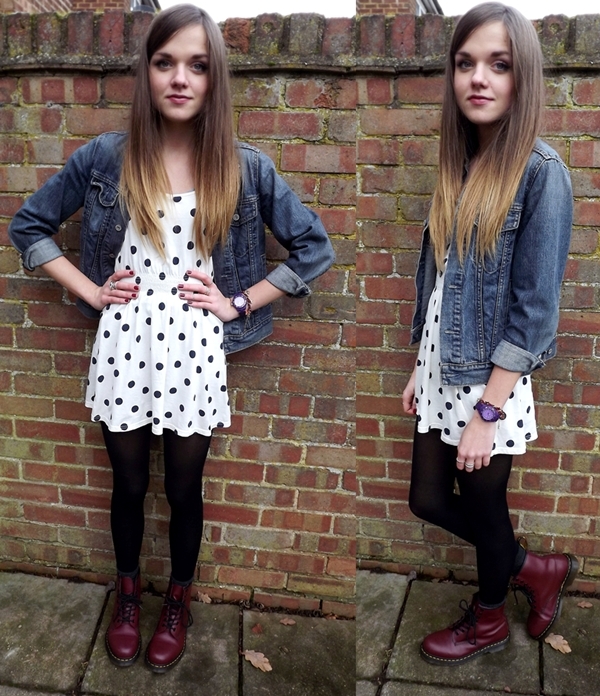 I love this dress so much and those Doc Martins Rule!!! Supercute dress, I love it! And your shoes are fabulous!